Though it exceeded box office expectations in its first weekend of release, the film “Unplanned” is “struggling to get promotional spots onto any channel except Fox News,” a columnist noted. “A pro-life movie is now finding it impossible to advertise on cable television because the networks are put off by the ‘sensitive nature’ of the abortion issue. Or so goes their argument,” Joe Schaeffer wrote for LibertyNation.com on April 1. According to The Hollywood Reporter, The Travel Channel, Cooking Channel, HGTV and Food Network have all said “Unplanned” is too controversial for their advertising slates. “Most of the networks didn’t go into detail beyond citing the subject matter of the film and that they didn’t want to get into politics. But we don’t believe we’re in the political category,” said Joe Knopp, a producer for the film. 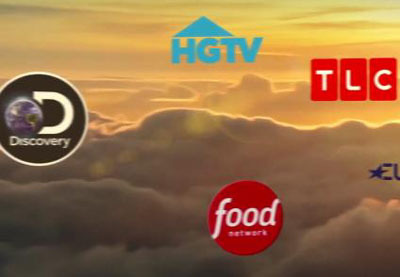 The Travel Channel, Cooking Channel, HGTV and Food Network are owned by Discovery, Inc., which also happens to be the parent organization of Discovery Education. “While making every effort to appear to shun politics, Discovery Education has maintained a ‘partnership’ with an organization called Girls Inc. for several years,” Schaeffer noted. Susie A. Buffett is listed as “Girls Inc. Lifetime Champion for Girls”. The daughter of hedge fund billionaire Warren Buffett, Susie Buffett “shares her father’s devotion to funding the deaths of unborn children,” Schaeffer wrote. Schaeffer wrote: “This is the reality behind the ‘sensitive’ posturing of corporations like Discovery Inc. Running a commercial for a pro-life movie is beyond the pale for them but partnering with a radical group that focuses its efforts exclusively on young, impressionable girls and has extensive ties to Planned Parenthood is giving back to the community.